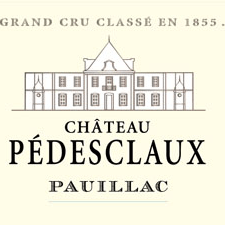 Chateau Pédesclaux embodies the density of Pauillac tempered by a singular pleasure. It is found under the vines of Pedesclaux a geological masterpiece that dates back 40 million years. It is this unique terroir, Medoc par excellence that embodies the 1855 classification. The 1855 is the most famous. Commissioned by the Chamber of Commerce for the Universal Exhibition in Paris, he distinguishes 61 red wines, 18 of which on the one Pauillac. It is established by brokers from selling price recorded in their archives. One hundred and sixty years later, the 1855 is still dreaming.